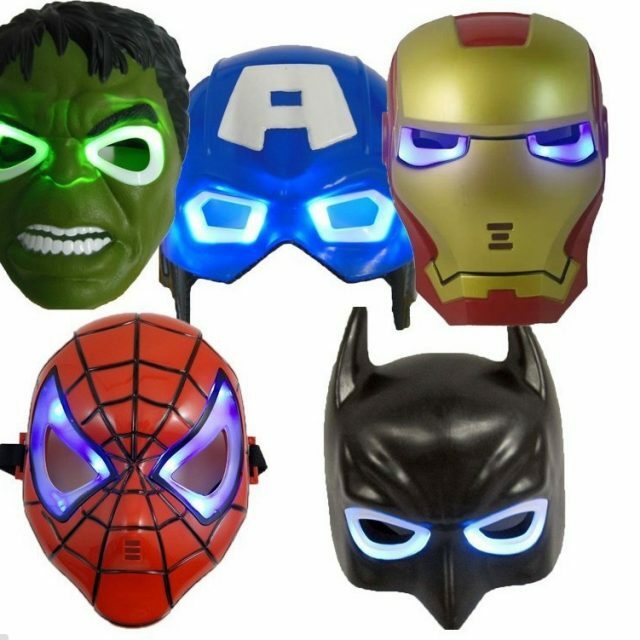 Take on a secret identity just like your favorite masked Marvel hero with 5 Masks of Captain America Spiderman Hulk Iron man & Batman! When you pull this mask on you’ll feel like the beloved Heroes, and you’ll be ready to fight evil all over the neighborhood. Adjust the straps for a comfortable fit and get ready for big adventures!